AEDREON CORP is constantly improving its Transport Stream trascoding/encoding solutions, Axcode, now with the latest version 3.16.2b. This latestet release includes a lot of new features that have been requested by our customers. 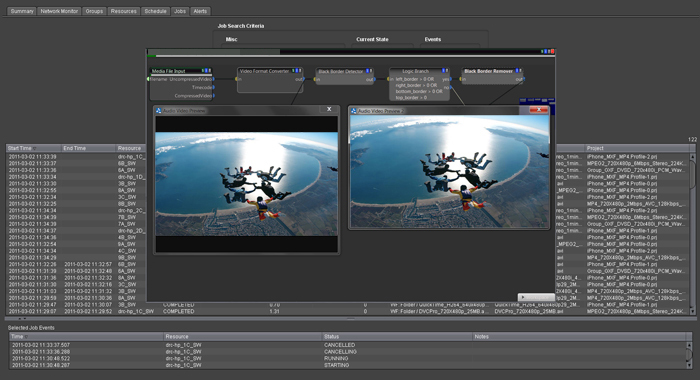 The most obvious update is that a new interface for transcoding service window in the output GUI, which allows a swift preview of result video output quality at the Axcode program interface. The transcoding bitrate which video and audio is being encoded can be configured on-the-fly via the GUI which allows the complete utilization of the hardware transcoder. All popular encoding standards are supported, this includes MP2 Video, AVC Video, AC-3 Audio, AAC Audio, HE-AAC Audio, MP1 and MP2 Audio, MP4 & AVCHD.